For many Australians—especially those living along the coast and in cities—a trip to the doctor is hardly an inconvenience. 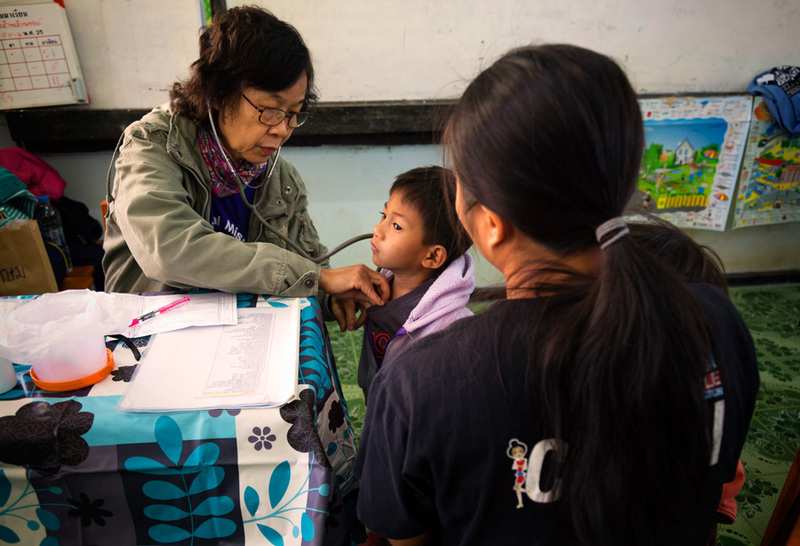 In a remote village in Thailand, the children’s only chance to seek medical treatment is when a doctor visits twice a year. It’s a cold Saturday morning in early January and Muang Khong Church is buzzing with excitement. A big day is about to happen. Preparations took place all of yesterday for what would come today. Ladies from the church chopped, boiled, roasted, and fried an assortment of foods late into the night. Instead of the big celebration you might be picturing in your head, the church is preparing for a day that happens only twice a year in this small Thai village—a doctors’ visit. 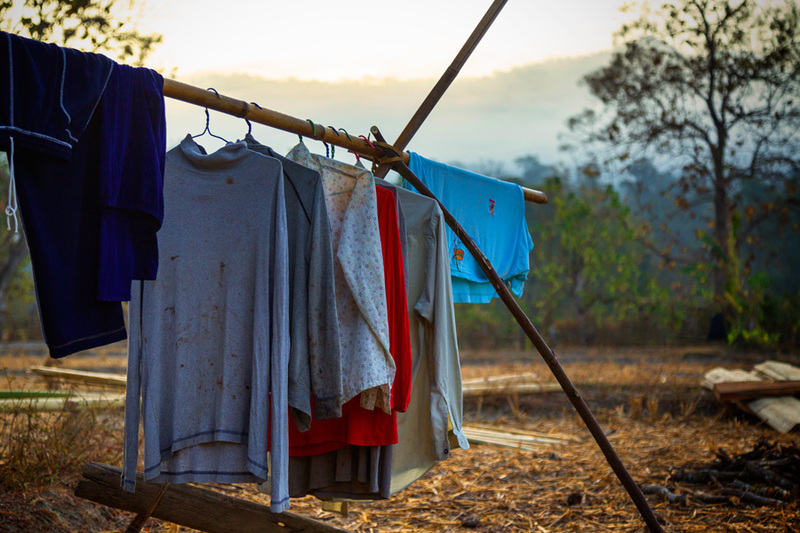 As the sun rises in the east, the village of Muang Khong remains cold. The sun’s rays won’t pierce the fog and warm the villagers until at least eight in the morning. But both the doctors and chefs are up before sunrise, warming themselves by open fires and preparing for the day ahead. The visiting doctors begin their walk up the hill to the village school. The school principal and a village elder greet them at the school gates. The preparations made have been made in honour of these special visitors. As there is no hospital close to the village, it’s not often anyone sees a doctor. The school has provided space for the doctors to set up a temporary clinic for the day so all the villagers will have the opportunity to see a doctor. Word quickly spreads about the doctors’ clinic and villagers desperate to see a doctor have begun waiting in huddled groups before the donated medications have even been unpacked. Every age is represented—from newborn babies with their mothers, to grandparents stooping over from arthritic pain. So what’s involved in the medical check-up? While head lice here in Australia might bring back memories of our mums tightly braiding our hair and lacquering it with hairspray for ‘protection’, it’s often little more than a nuisance and a very itchy head. But did you know lice can carry deadly diseases like typhus? Part of the medical check-up includes searching for lice in the children’s hair. 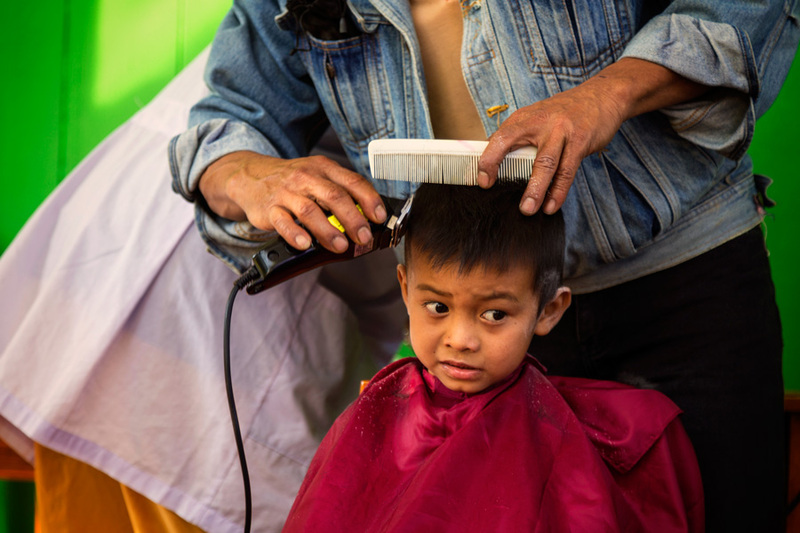 The doctors then teach local Compassion staff how to treat lice in children’s hair—sometimes it’s as simple as a short haircut! While breast cancer is still rare among younger women, it ranks among the top-five mortality-rate cancers in thirteen Southeast Asian countries according to Pfizer. To battle this, the doctors teach women of all ages how to check themselves for evidence of breast cancer. Prevention is better than cure when it comes to good health, and prevention best starts young! 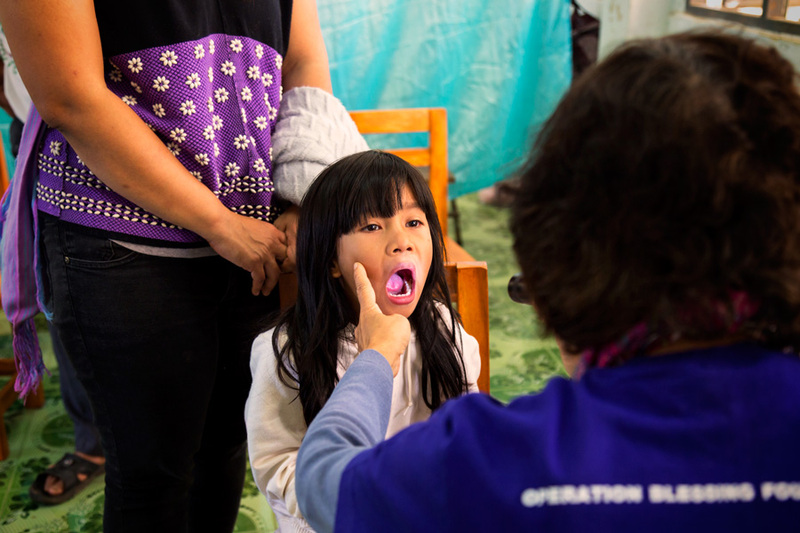 As part of their check-up, young children are taught about a range of issues, including how to brush their teeth, wash their hands, and how often they need to shower. On a more serious note, other important awareness issues are raised, including child protection, and what to do in emergency situations. 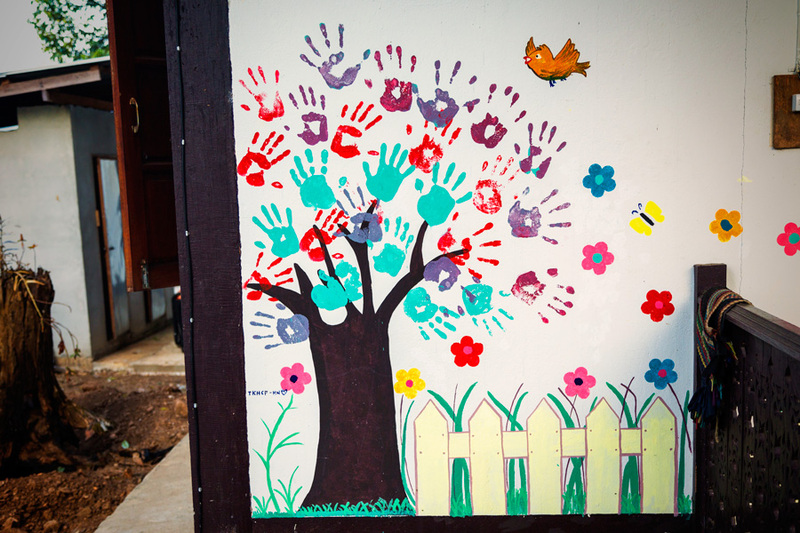 Today’s course is taught by Pop, a former Compassion sponsored child who wants to help other children living in poverty. Every Compassion assisted child undergoes a physical examination at the check-up to make sure they’re growing healthy and strong. As the village is so far away from any hospital, the kids don’t have easy access to treatment for simple ailments such as colds or fevers. Left untreated, seemingly harmless illness and injuries such as scratches can become infected, and growth problems can easily go undetected. All patients who come for a medical check-up are given the opportunity to meet with the Christian leaders of the Compassion centre and pray together. They discuss the Bible and share about the love of Christ—people need healing not only physically, but spiritually as well. Children and parents return home happily, clutching small boxes of medicine or running their hands through their much shorter hair. For those who require additional help, the Compassion staff are ready and willing to see them through treatment of any kind—even if that means transporting them the great distance to the closest hospital. 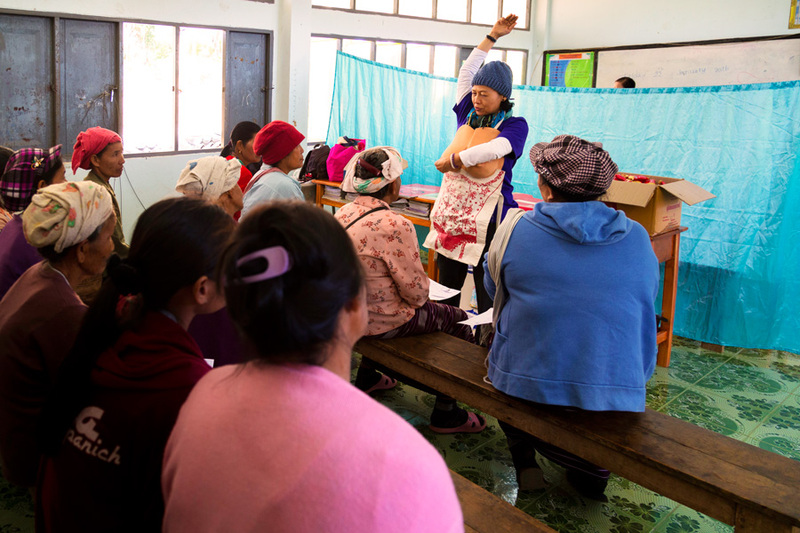 From haircuts to lessons about child safety, a check-up in this rural Thai village doesn’t look like a typical doctors’ visit in Australia. But one thing remains the same the world over—the bright smile of a happy, healthy child who is loved and cared for. 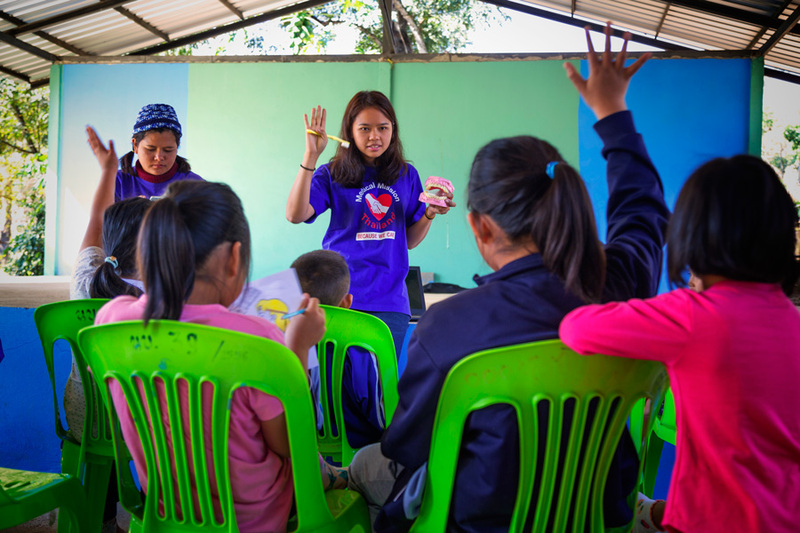 Compassion exists in partnership with local churches like Muang Khong Church so those smiles can be seen even in a rural, isolated mountain village kilometres away from hospitals and medicine.